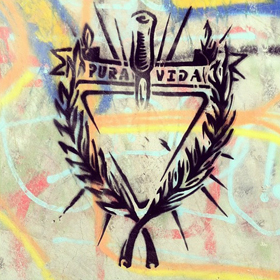 On December 8th the Pura Vida skate park hosted a contest. 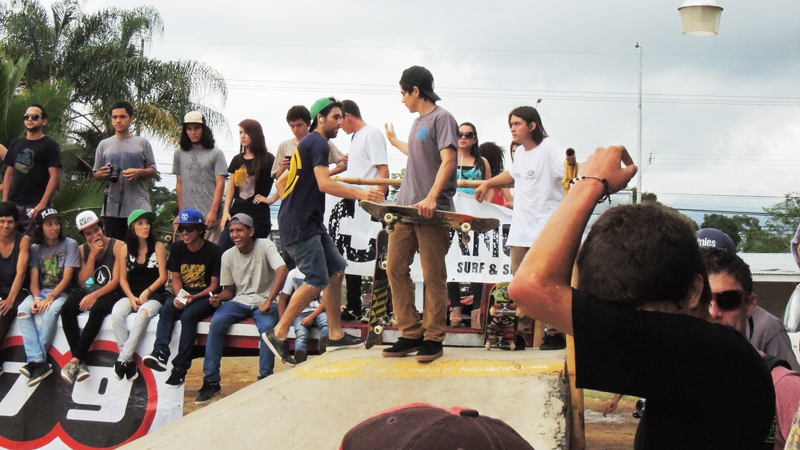 The event was part of the “Gran Circuito de Skateboarding”, a series of contests, arranged by Manual Skateboards. 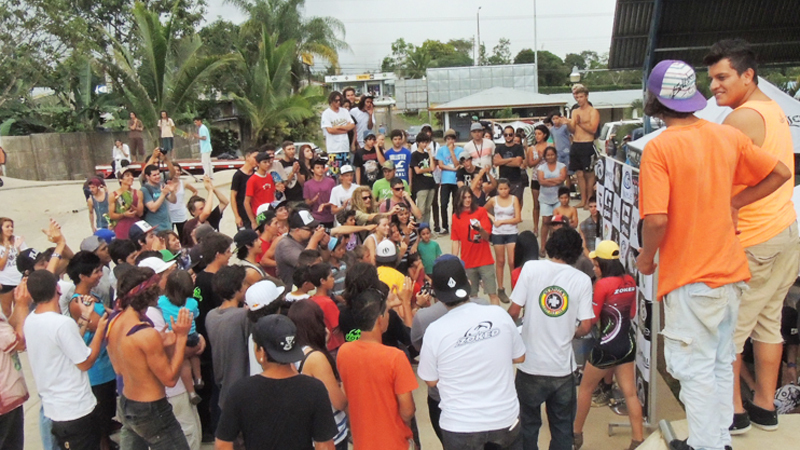 At 7 a.m. Ricardo Madrigal arrived at the skatepark with a big truck which was supposed to work as a grandstand. 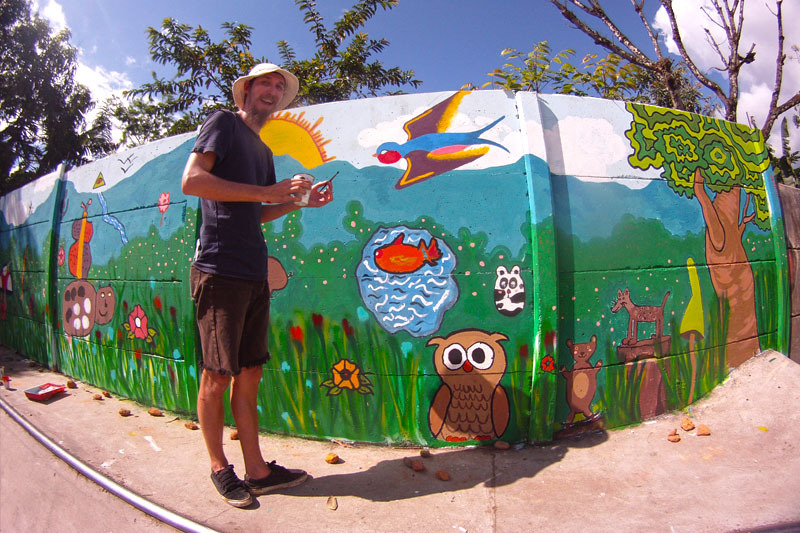 This was a great idea by Ricardillo because it cared for good views and a relaxed atmosphere. 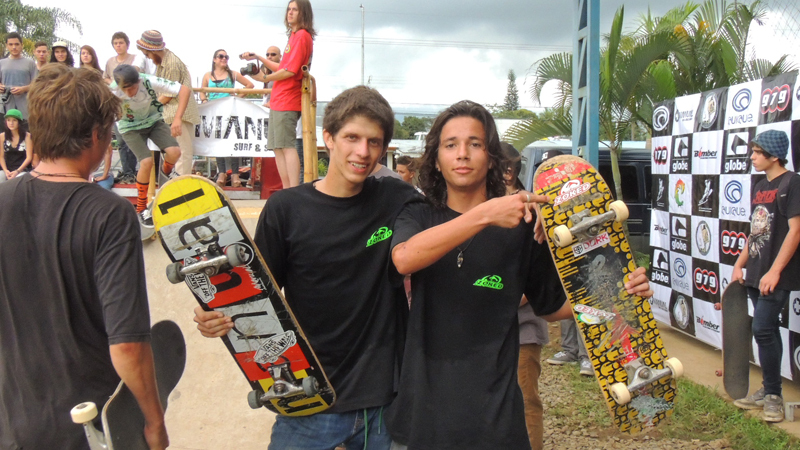 About two hours later the organizer Javi Garai showed up with his skate- and organisational team, a sound system and some pavilions. 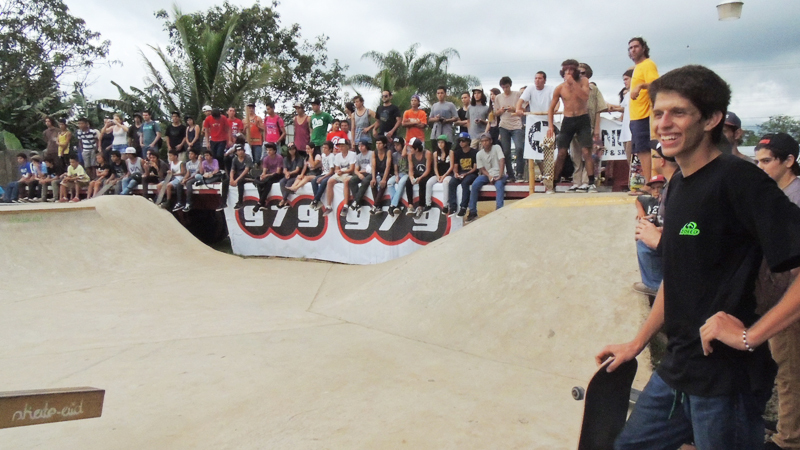 Now the park also got more and more crowded by observers and skaters, which started with the warm-up straight away. 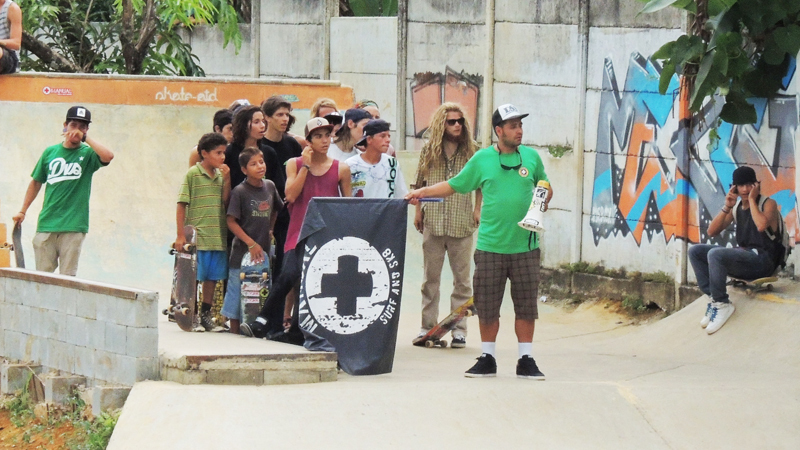 The majority of the participants were locals, from the outside only the Manual and the Oops team from San Jose as well as two guys from Tamarindo made it to San Isidro de El General. At 10 a.m. the first runs of the “kids” age class already started. It had 5 participants, which were split into two Jam sessions. In the meantime I had mediated with Javi that the younger participants won’t have to pay the starting fee because otherwise they would not have been able to enter the contest. 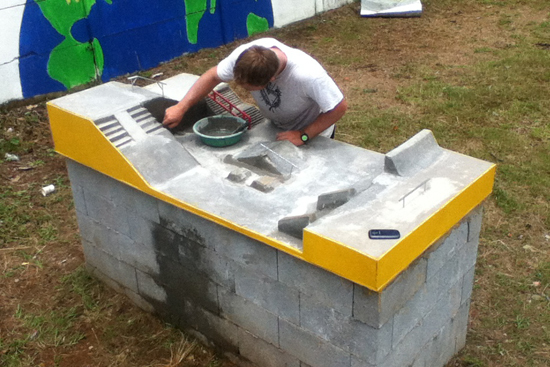 Still, only a few locals dared to actually participate, and those who did could not hide their nervousness. 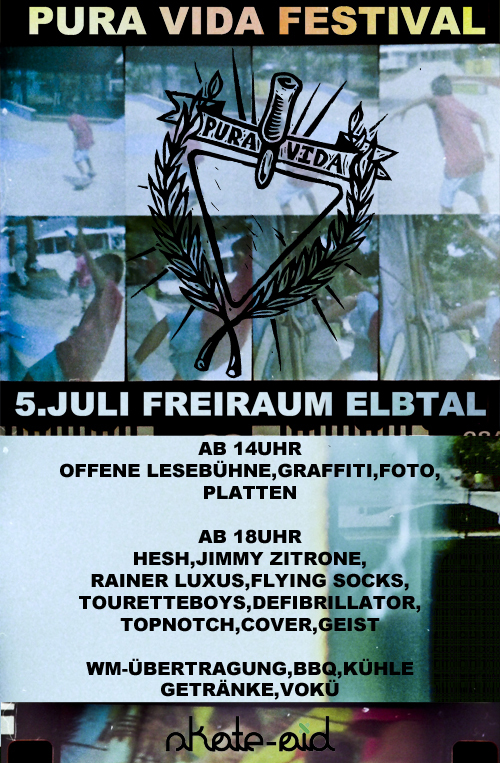 For most of them it was their first occasion to perform their skateboarding skills in front of audience. Beto, Caníbal, Isaak, etc. 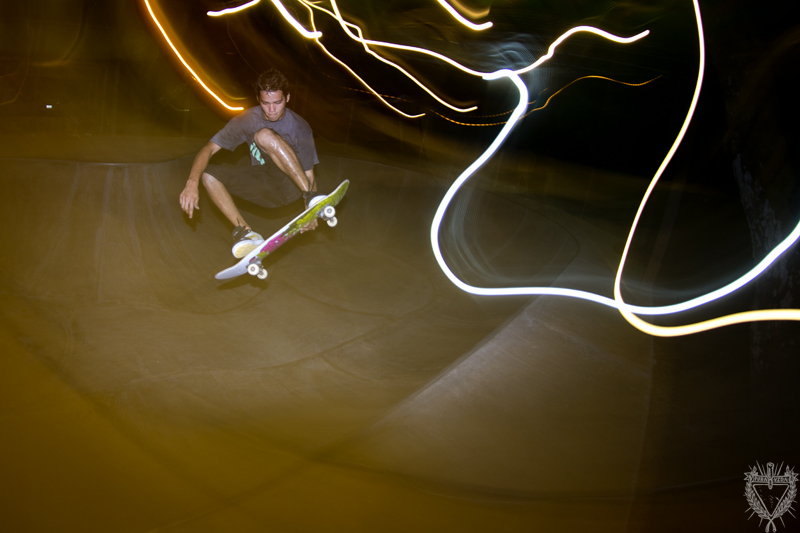 did skate very well although their knees were shaky. 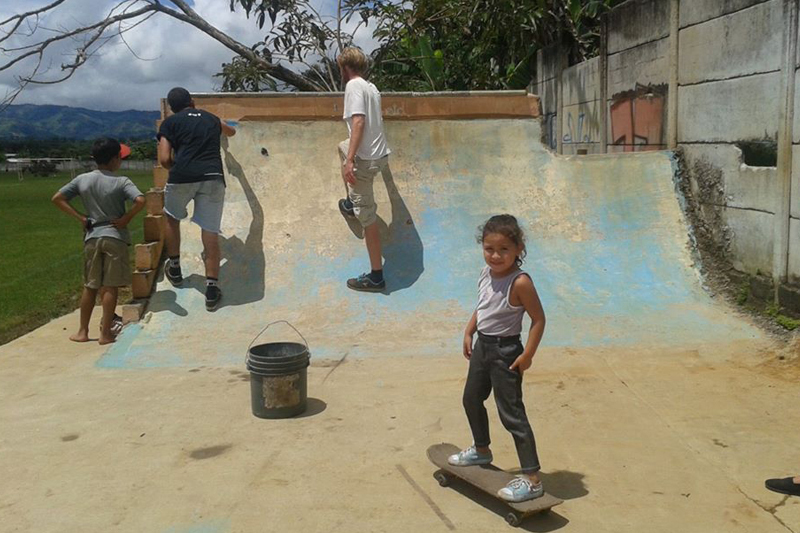 They had only started skateboarding when the skate park was build, less than a year before. In the second age class “Junior” there were only two starters, Leonardo and Willy, so that the podium was not even going to be filled. Unfortunately most of the female participants were lacking bravery to perform in front of the eyes of the audience, Only Maria Fernanda Solis Calderon dared to enter the concrete-arena and left few surprises for the award ceremony. Finally the riders of the mayor group got ten minutes to warm up. 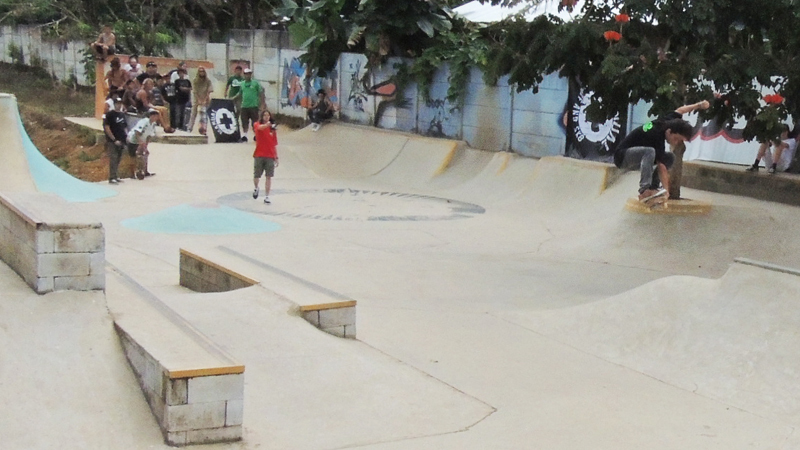 There were 5 heats with 3 riders each, of which 2 could qualify for the semifinal. The locals Ricardillo, Chancho, Dario, Timo, Barney and Ñoña did show great runs, but eventually only the two last mentioned could enter the final together with the American Jerry. After only two hours the event was over, the winners were nominated and the crowd was gifted with give-aways of the sponsors. 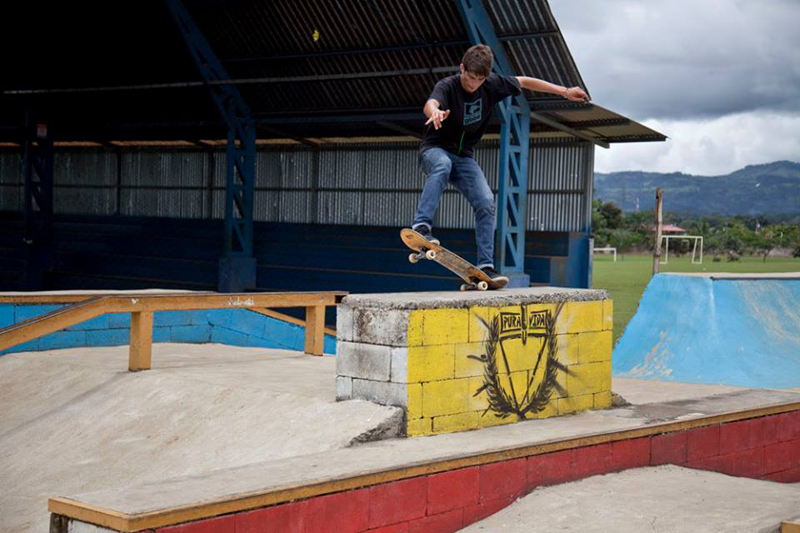 Manual appealed with a small financial aid for the Pura Vida project for their use of the skate park and the local skateshop “Zoked” also promised a reward for having put their marketing banner during the contest. Thanks! 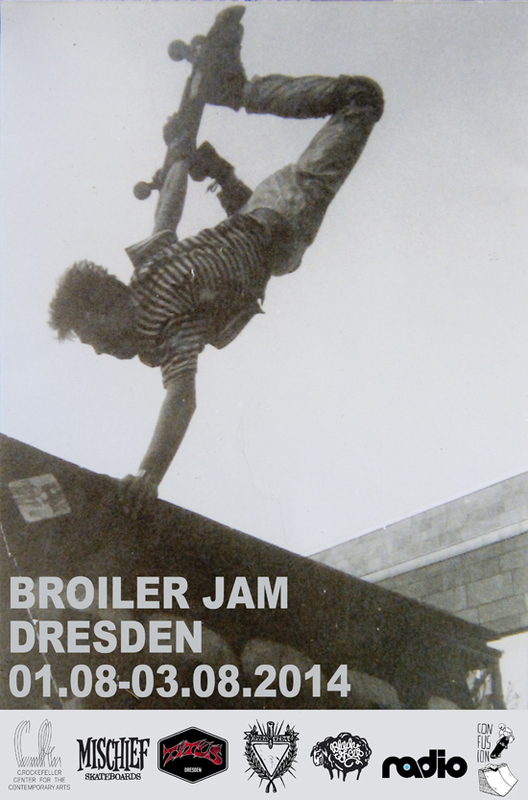 Here you can find the results as well as a little edit of Adolfo’s recordings and a clip of Steve and Randy Parker from Puriticoskate.